This was a year long design project that I led from concept to launch. My responsibilities included inital planning, sketching, wireframing, orchestrating team meetings, creating full color mock-ups, analyzing user feedback surveys and collaborating with developers. 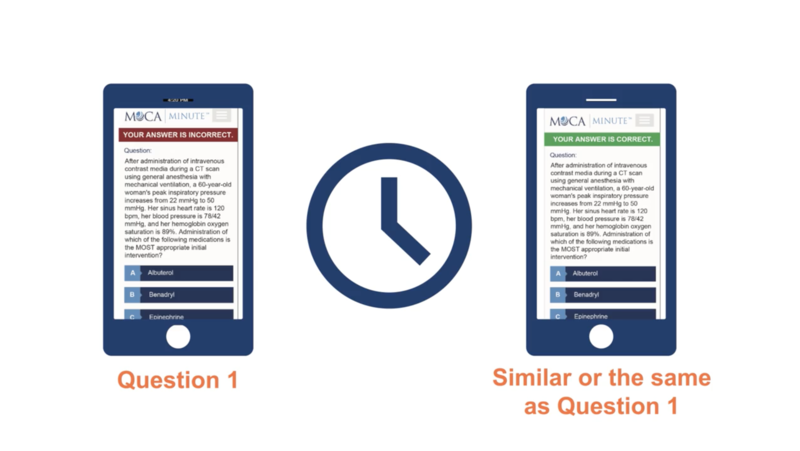 Maintenance of Certification in Anesthesiology (MOCA) Minute is an interactive learning tool that replaces the MOCA Exam as the MOCA Part 3: Assessment of Knowledge, Judgment, and Skills (formerly the Cognitive Examination). 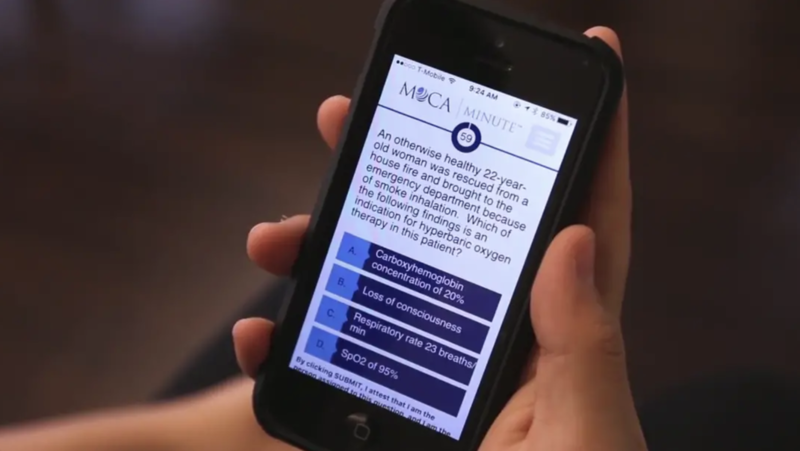 It consists of multiple-choice questions like those typically on MOCA exams. 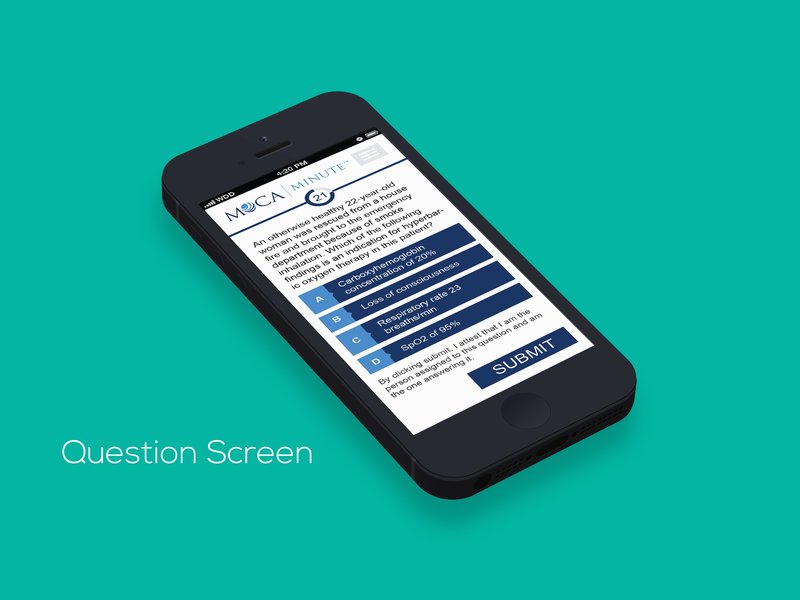 MOCA Minute allows anesthesiologists to continuously assess their knowledge, fill knowledge gaps and demonstrate their proficiency. They need to answer 30 questions per calendar quarter. 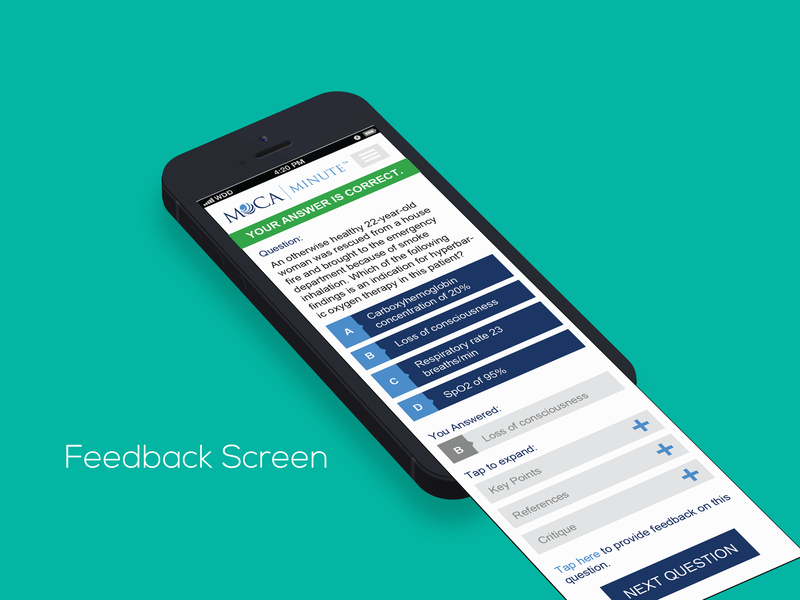 They can access MOCA Minute questions in three ways – weekly email reminders, in their portal account or on the MOCA Minute mobile app. Once they access a question, they will have 60 seconds to answer it. Whether the question is answered correctly or not, the correct answer, rationale and links to additional resource materials are displayed on the screen. 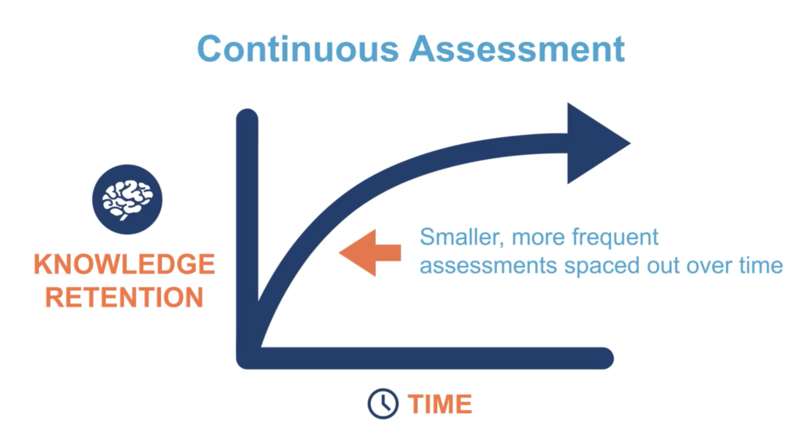 Given the innovative nature of the MOCA Minute longitudinal assessment, the board used a new approach to evaluate diplomates’ performance. 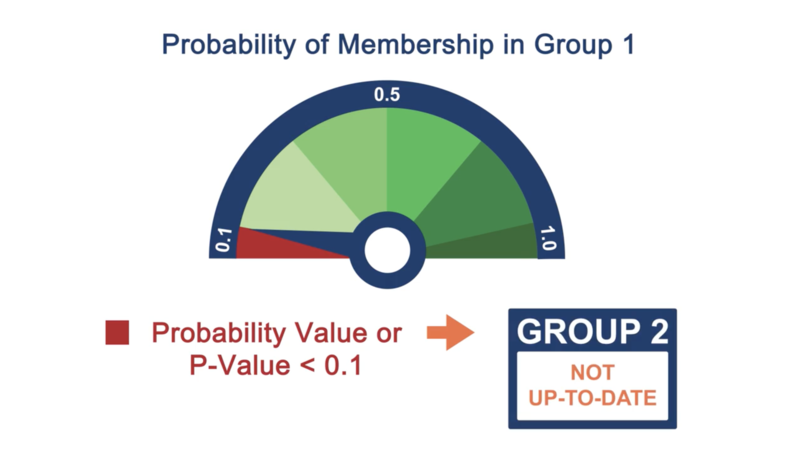 It is called Measurement Decision Theory (MDT) and is a statistical model that estimates the likelihood or probability that their diplomates are keeping their specialty-specific knowledge up-to-date based on their pattern of responses to MOCA Minute questions. 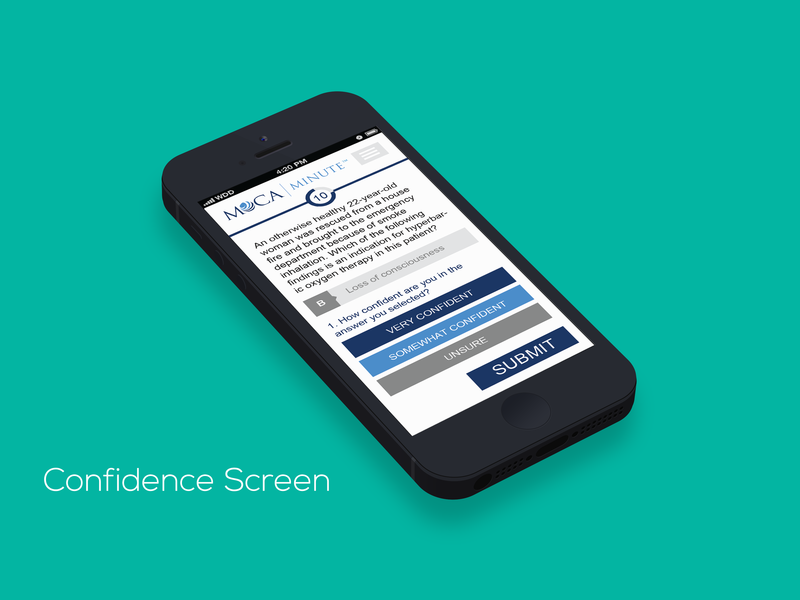 Not only did I design the mobile application that is now used nationwide by all certified anesthesiologists on both iOS and android. 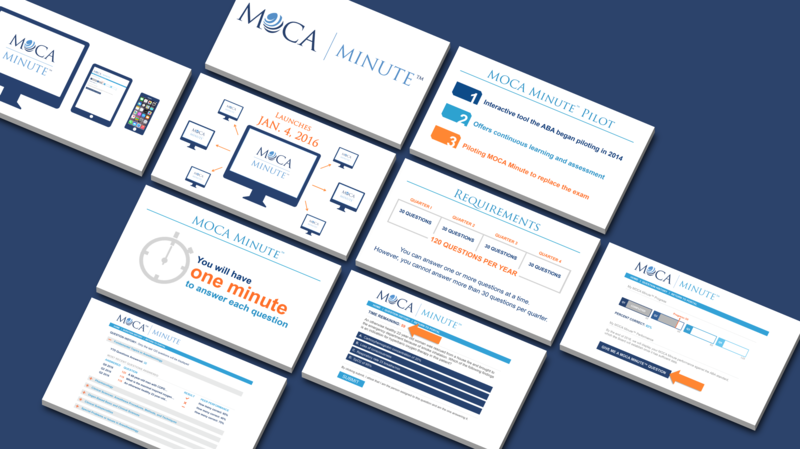 I also created three short videos to provide more information about MOCA Minute and to introduce MDT. What is Measurement Decision Theory?